Sud-Express de-Luxe, Trans-Maghreb, Panama Limited, Aguila Azteca, Rio - Sao Paolo, El Gran Capitan, Transandino - they all were closed down. Once, a 5000 horsepower Niagara with an express at 100 mph was a sensation, now commuter railcars or a rusted sugar mill engine must help to fill the pages. Not even a single prestigious train in running in South America. What dreams had been connected with railways in Latin America! As early as in 1848 proposals were made for a trans-isthmian railway from the Atlantic to the Pacific in Southern Mexico. A Pan American Congress in Washington published in 1890 the idea of a railway USA - Mexico - Colombia - Peru - Chile and Argentina. 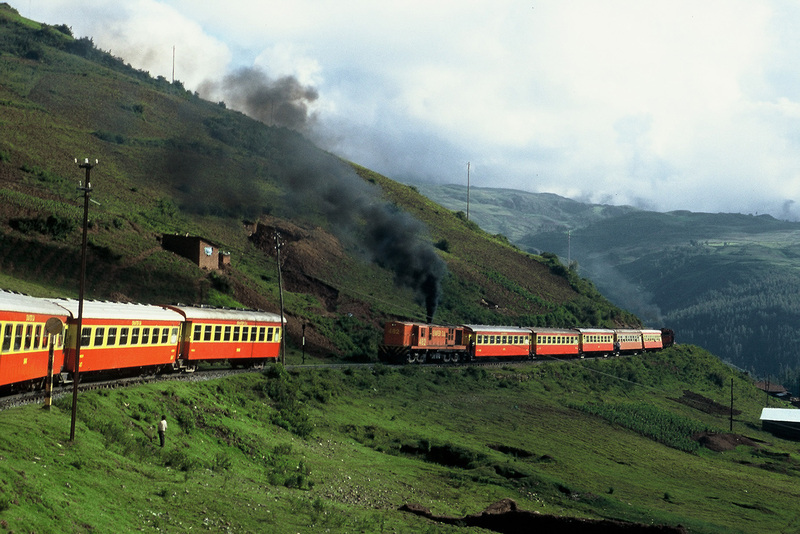 In 1891 surveys started for an Intercontinental Railway between Cartagena in Colombia and Quito, Ecuador. And the Railway Magazine before WWI wrote: “The Pan American Railway is, as many think, destined (…) to form a link in through railway communication between New York and Buenos Ayres. But even if this result be delayed, it is quite within the bounds of probability that railway communication may be completed between New York and the Panama Canal”. In Germany however the “Illustrierte Zeitung” expressed doubts already in 1899. In 1925 the German “Zeitschrift des VDI” reminded the Intercontinental Railway Commission that “in the meantime the age of the intercontinental and trans-oceanic air transport had begun”. 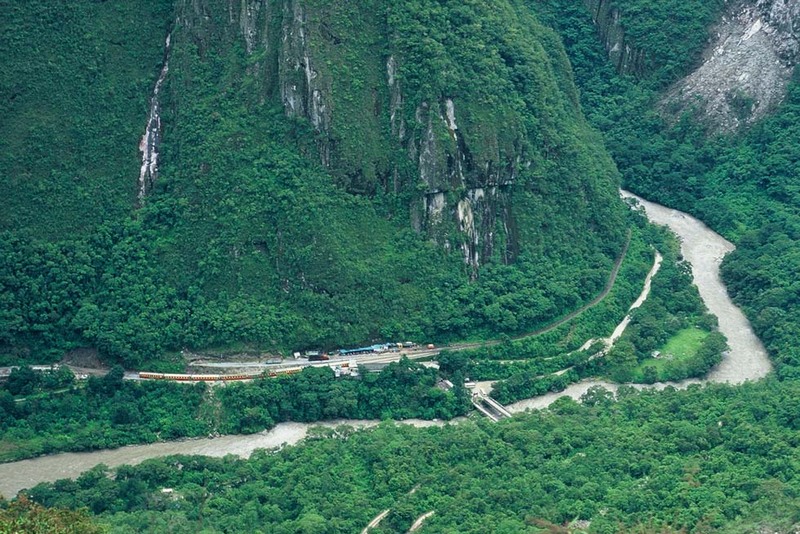 Around 1950 in the United States the organization for development of a railway link New York - Mexico - Panama - Antioquia - Quito -Cuzco - La Paz was dissolved. Dreams of an “All World Line” or a “Cosmopolitan Railway” linking all continents by the Panamericana, a Gibraltar tunnel and an Alaska - Siberia tunnel were forgotten…. 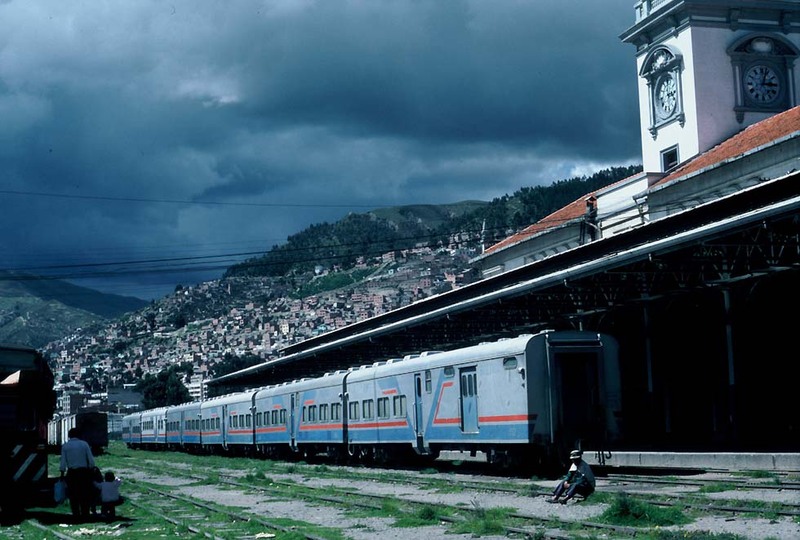 The governments examined during the ‘70s and ‘80s more realistic projects, such as a domestic rail network in Venezuela or filling the missing gaps in the railways between Lima, La Paz and Cochabamba, Brazil. Around 1990 the congress of Latin American railways, including Spanish RENFE, published a number of projects under the title Corredor Transcontinental Central. A Corredor de los Libertadores was to grade up the existing lines from Arequipa, Arica and Antofagasta to Buenos Aires. With the Corredor Transandino Central a new tunnel on the Transandino route was envisaged and a Corredor Atlantico should connect the existing networks between Buenos Aires, Asuncion, Porto Alegre with the planned “Tronco Sul” to Sao Paolo. Though for freight not unrealistic, the ideas until now remained a dream. Works however started on a line from Zapala in Argentina to Southern Chile. Reality on Latin American railways was shown by a Newsweek report in 2004 (March 1): "Last week in Ciudad Hidalgo, a cargo train heading north into Mexico slowly pulled away from the town's dilapidated station. Suddenly hundreds of migrants - young men, women with babies, even an elderly couple - emerged from the shadows and began to run alongside the train. As it gathered speed, most jumped on board". For the not quite so poor in Latin America, buses have become the usual means of transport, and for the privileged ones the airplane. The grand expresses, once representing the grandeur of the South, have disappeared like the noble knights had vanished with Miguel de Cervantes' "Don Quixote de la Mancha". Gone have the days of worldwide travel by train, by the Sud-Express from Paris to Portugal, "le Mistral" has emigrated to Senegal, no longer hurries a Panama Limited to catch the Caribbean steamer, no Expreso del Sur runs from La Paz to Argentina, no Transandino to Santiago or Valparaiso…. Sud Express - the vanishing dream… Surexpreso - sueno muriendo.